Remember when I said that it’s never too late? Well, I wasn’t lying. Fall has been out for a few months now. Here are some things that the Manpanion and I managed to try on. Enjoy! 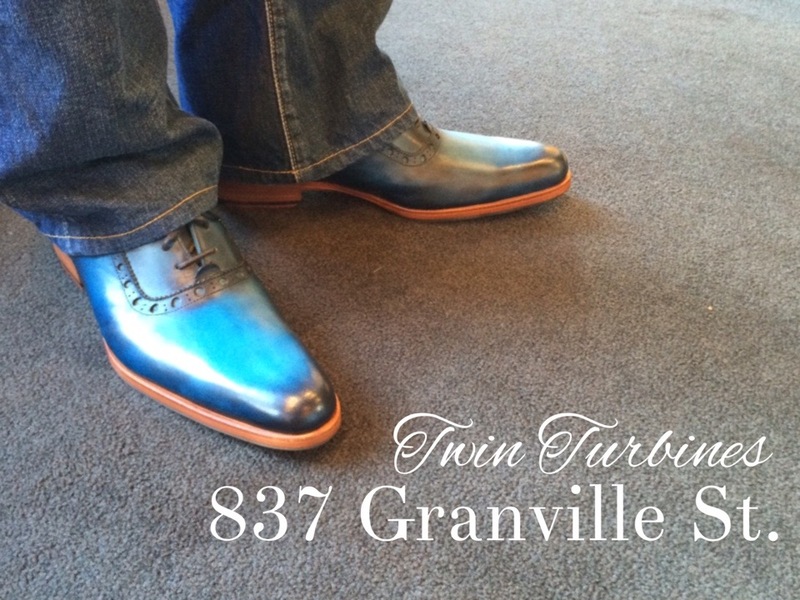 Twin Turbines | 837 Granville St. Size 10 in blue. These are the newest addition to the Manpanion’s collection. Please note that this pic does not do these Vogs justice at all. These are absolutely gorgeous. They’re sleek and according to him, very comfy. 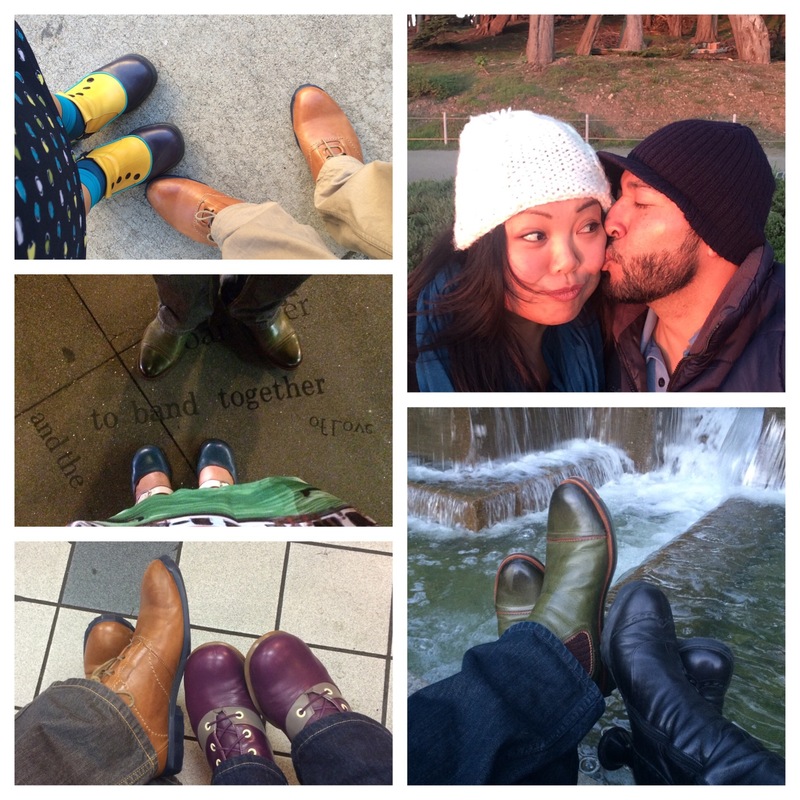 These days, our buying habits have slimmed down because we’re planning/paying for our nuptials. However, these are not a pair that you want to wait to go on sale for. In fact, I highly doubt this will make it to sale time. This color combo is such a head turner. This family seems to suit the Manpaion well, as he has another pair from here. These are definitely his pick of the season! 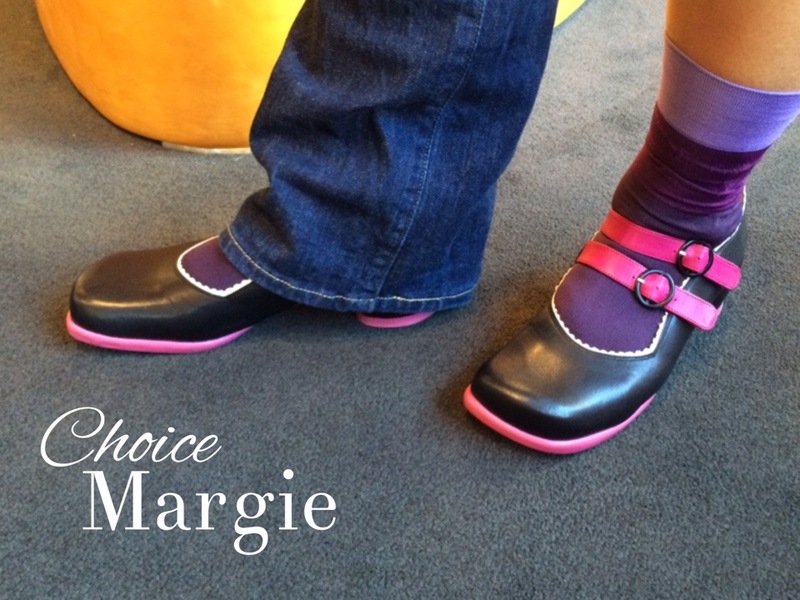 Choice | Margie. Size 10.5 in black. These were pretty much gone, so I had to try on the only size that could possibly fit me. Apologies, as I do not have any sizing info for you. I have an old pair of Margie in red. I’m so happy to see these return, but in better style. First off, this color combo is beautiful. They’re wide in the toe, which my wide feet love. The straps on these are thicker and sturdier than the original Margie. 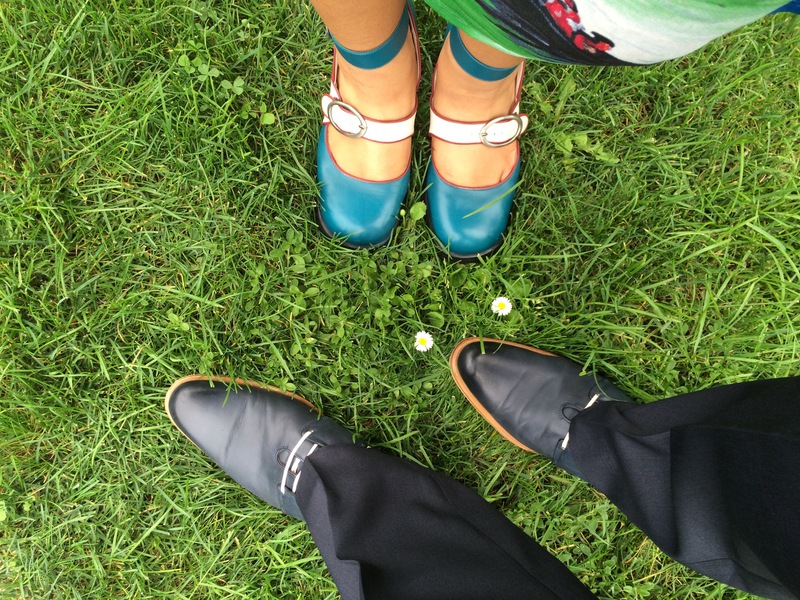 As flats, they’re an all-day shoe. Finally (though I didn’t take a pic of it), I heart the heart heels! Mini | Bunny. Size 9. Be still my beating heart. I have mentioned many times my “no doubles” rule. I already have these in blue/yellow (I affectionately call them my Berkeley Ph.D. shoes because the Manpanion gifted them to me when I filed.). If I were to break the “no doubles” rule (again), I’d totally snag these. It’s a great color combo and you can’t go wrong with the Minis. Sopranos | Robyn. Size 9 in orange. 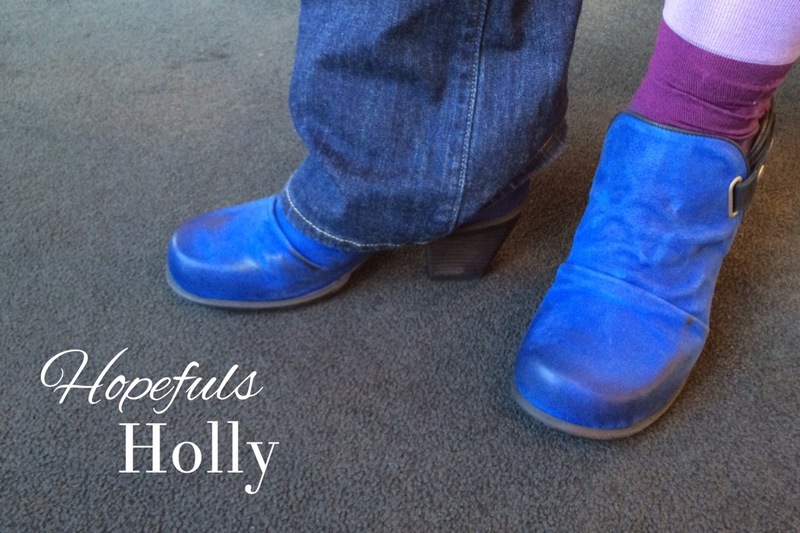 Many moons ago when I met the famous Stacey K. (whose fabulousness has been immortalized in a namesake Fluevog), she let me try on a pair of Vogs from the Soprano family. I think of the original Sopranos as a higher heeled, less comfortable cousin of the Operetta family. 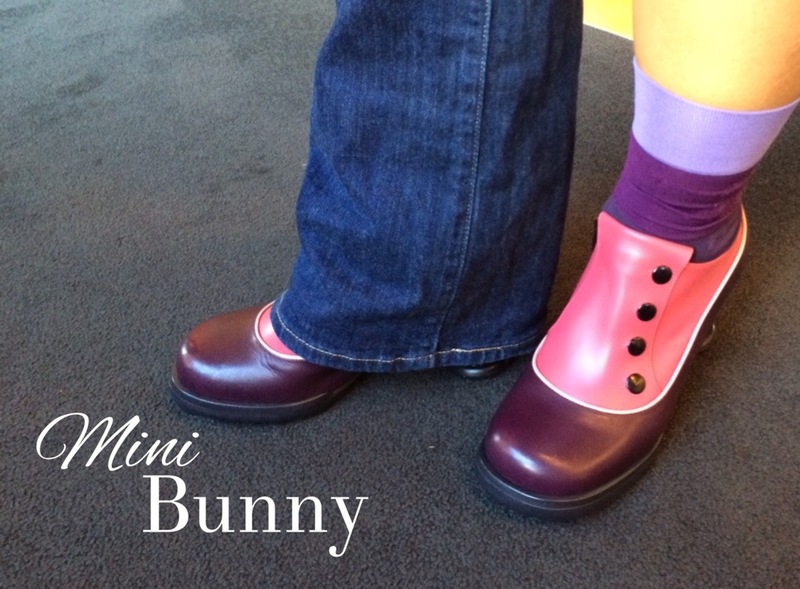 Well, Mr. Fluevog must have heard my complaiants because the new iteration of the Soprano family is AMAZING. 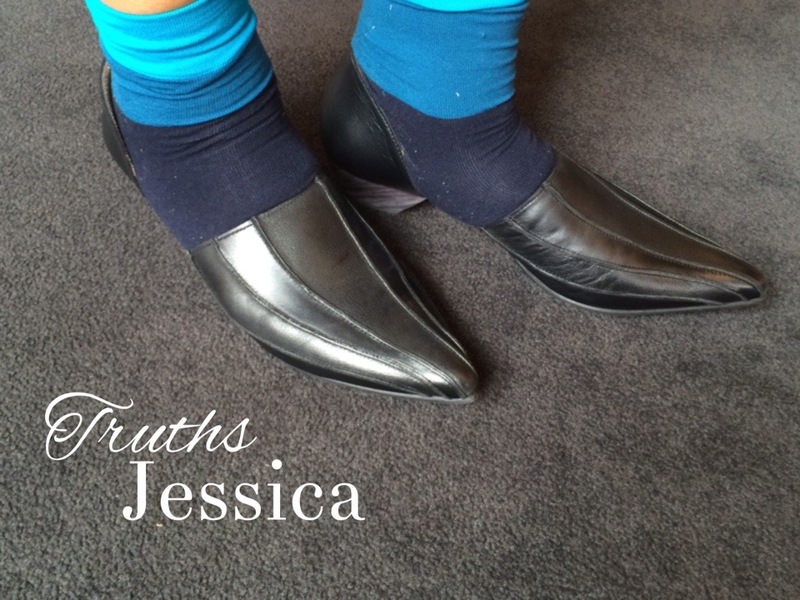 They’re true to size, have a higher heel than the Operettas, but are equally comfy and stable. I wasn’t expecting to fall in love, but these babies in ORANGE are my personal pick of the season. 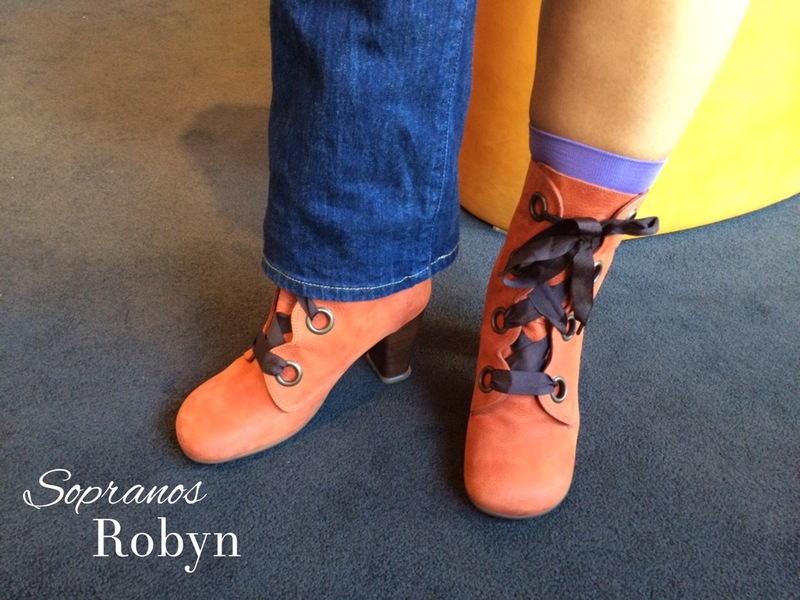 The lacing on these make Robyn totally stand out. While I would normally opt for the black in a Vog like this, ORANGE is the one you want! Hopefuls | Holly. Size 10 in blue. Again, these were pretty much out. Denny brought me the size 10 because they were all that was left. These in 10 were way too big. However, I loved how easy it was to wear. 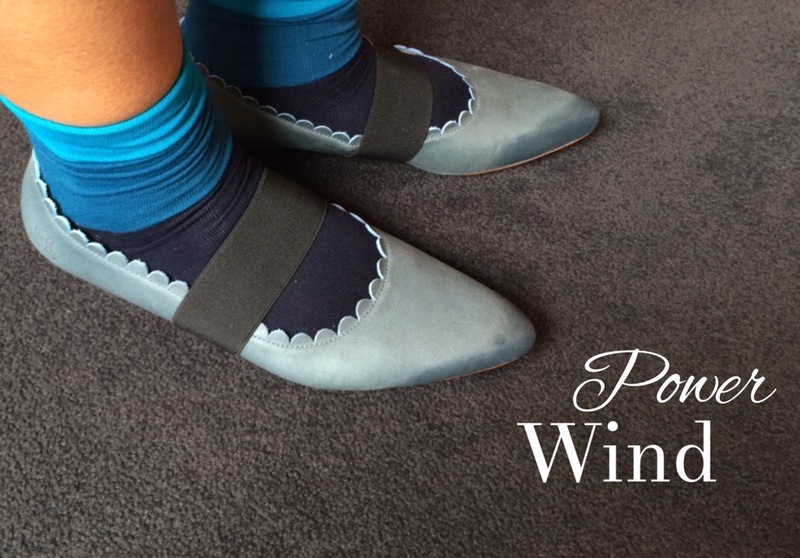 The profile is low and easy to slip on and off. Also, who doesn’t love that blue?! Mini | Gorgeous. Size 9.5 in teal/purple. I loved these too! I’m a Mini fan and again, I’m so happy to see the return of a classic (but in a totally sassy color). I went up 1/2 size in these. Yes, I’m sure the die-hards alreay have these on their lists (if not already on their feet). Again, MANY THANKS for your patience. I’d like to give special kudos to our friends at Haight Street, You’re wonderful and I miss you when I’m in Arizona. Categories: FlueReview, Men, Vog Collected | Permalink. Sorry for the semi-blurry photo. Darn phones! Hello June! 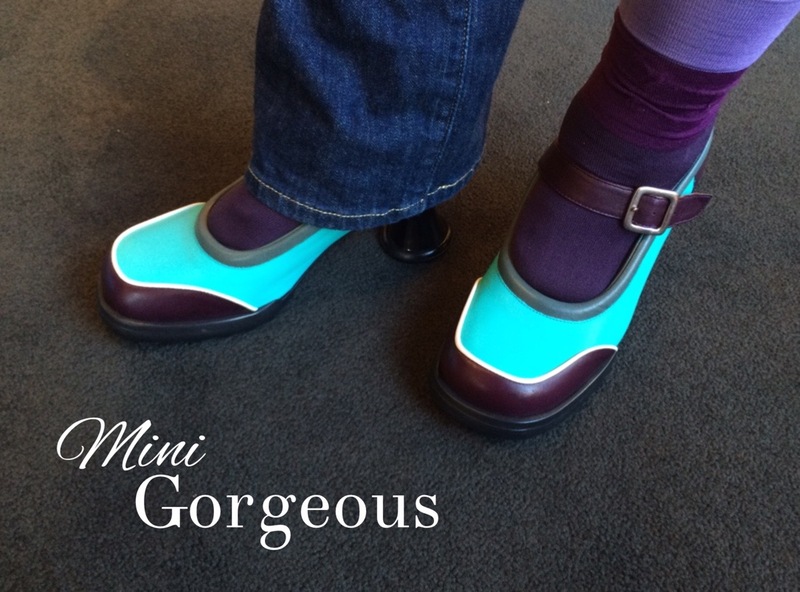 As I have mentioned before, the Manpanion has recently caught the Fluevog bug. I gotta say, Fluevogs have definitely changed his entire wardrobe. 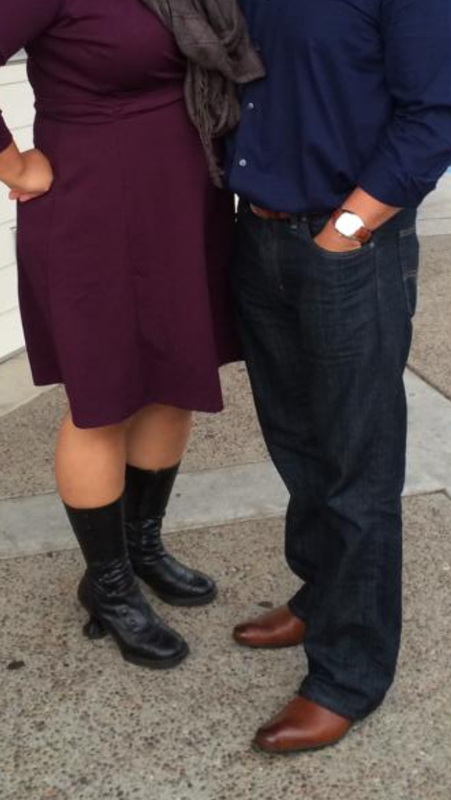 When we first met almost four years ago, he always dressed nice – jeans and button-down shirts for more formal occasions, jeans and t-shirts on the daily. However, he often wore jeans that were way too baggy. Plus, he was totally married to his sneakers. 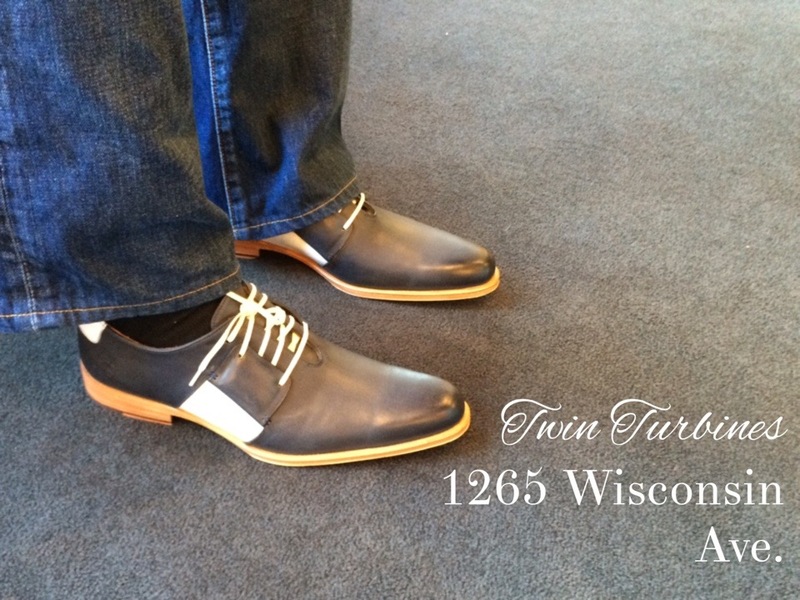 For a long time, he resisted even trying on a pair of Fluevogs. 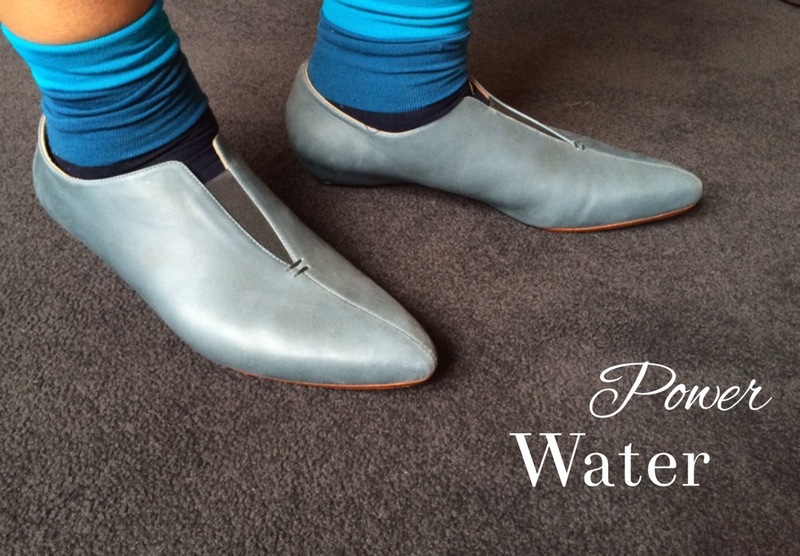 However, things have changed and he’s developed a love of Fluevogs. I often find him peeking at the site and when we visit the store, he tries things on too! Recently, he and I attended Dorothy’s M.A. graduation ceremony. The pic above shows us sporting some awesome Vogs. I’m wearing the Minis | Babycake in black (which I had altered to fit my calves). The Manpanion is sporting his newly acquired Executors | Rigas in brown. Gotta say… those babies are lookin’ sharp! Big hugs to our friends at Haight Street! FlueDaddy Denny gave the Rigas a gorgeous shoe shine before we took them home.